for large Magnum Energy installations. 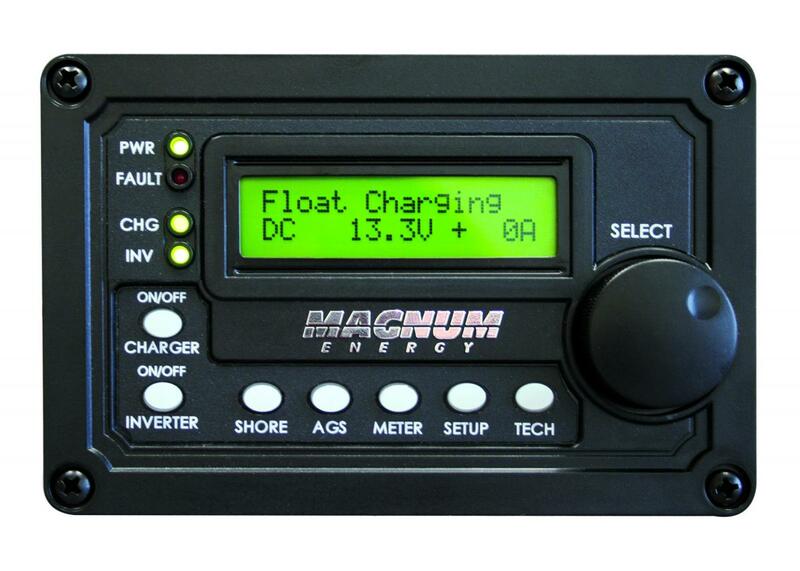 Works with MMP and MP Panels, MS-PAE and MS-PE inverter/chargers, PT-100 charge controller, ME-AGS, ME-BMK, ME-ARC, and ME-RC remote controls. NOTE: Model no longer available. The ME-ARTR Advanced Router replaces this model. Router designed to work with MS-PAE or MS-PE inverter/chargers when stacked in parallel. 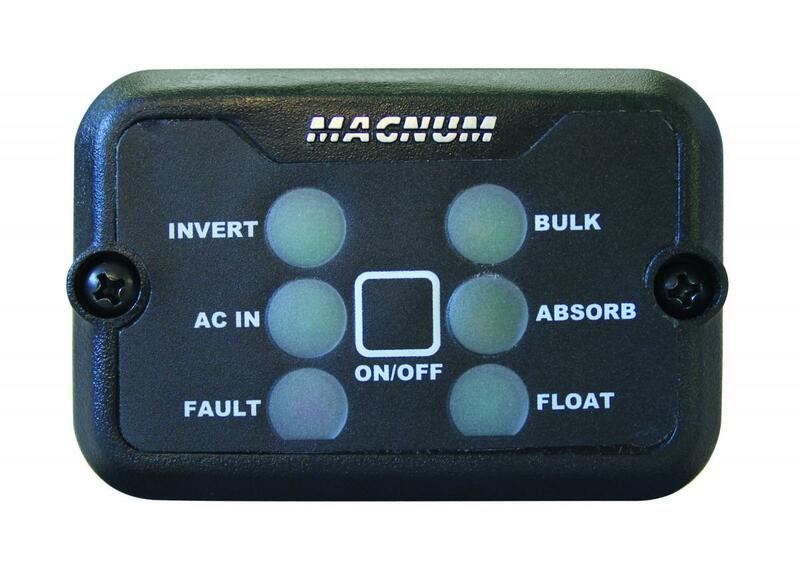 Advanced remote control for easy control via a rotary knob of a Magnum inverter/charger, ME-AGS-N, and ME-BMK. Remote control designed for easy use with a rotary knob. 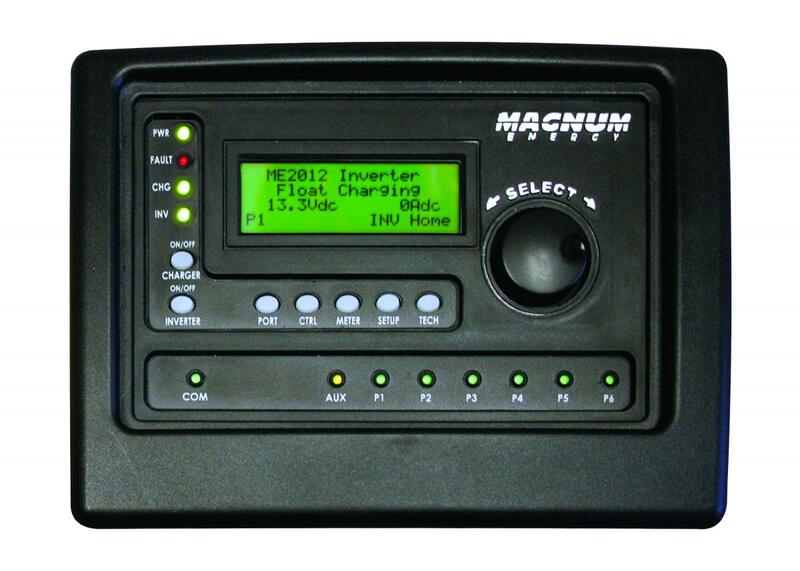 Works with Magnum inverter/chargers, ME-AGS-N, and ME-BMK. 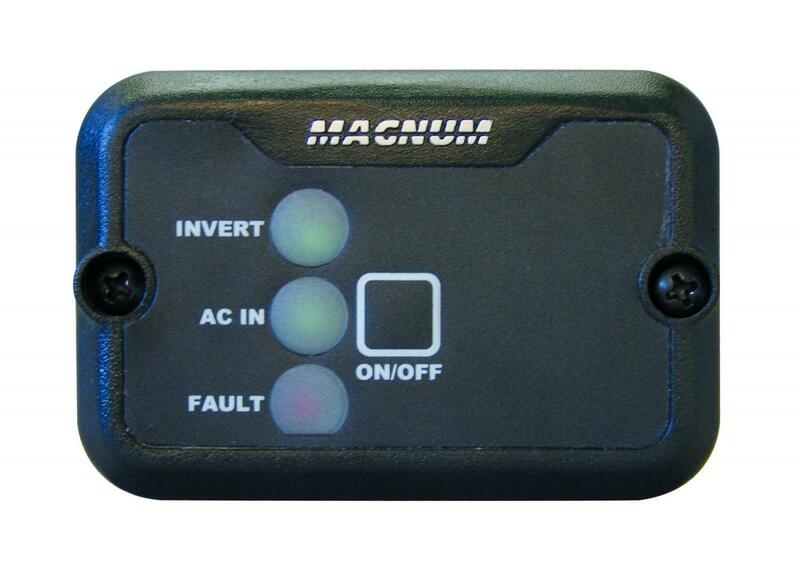 Remote control designed to control a Magnum Energy inverter/charger. 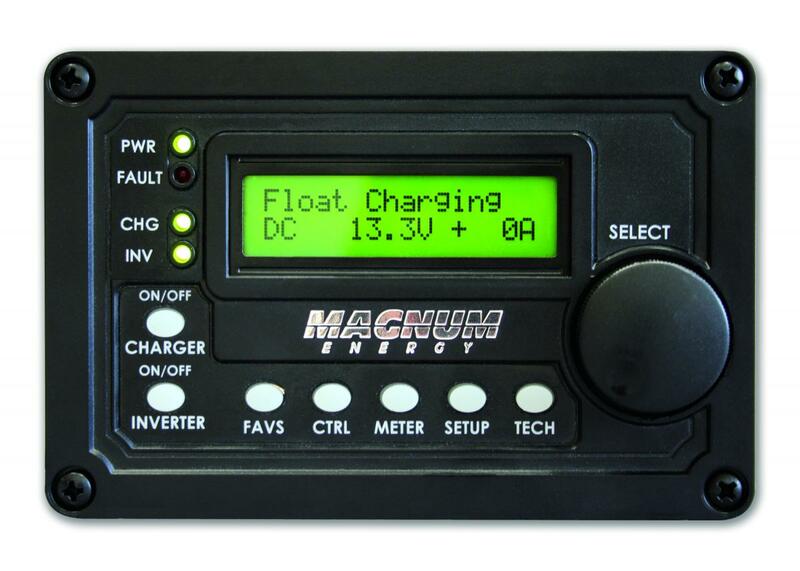 Simple on/off control for Magnum MM Series inverter/chargers. 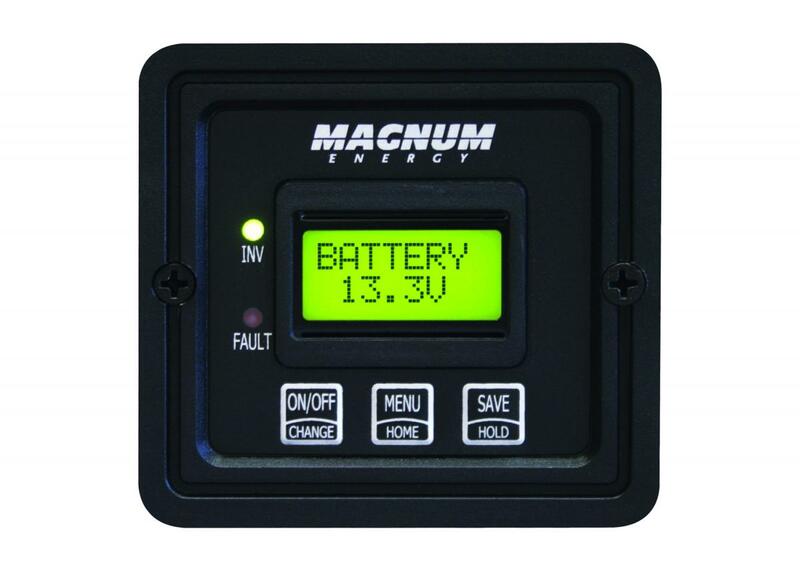 Simple on/off control for Magnum MM Series inverters.